The Northwest Michigan Invasive Species Network (ISN) partners with organizations across the region that work to improve the quality of native habitat. With over 70 years of history working to conserve the natural resources that support and sustain the Grand Traverse region, the Grand Traverse Conservation District now works through the ISN to manage habitat on 3,000 acres of public parkland in Grand Traverse County and to assist public and private land owners in managing high priority invasive species like garlic mustard. It is also the fiduciary of grants that fund ISN and much of the invasive species management in the region. ​​Formed in 1994, The Watershed Center advocates for clean water in Grand Traverse Bay and acts to protect and preserve the Bay’s watershed. The almost 1,000-square mile watershed covers major portions of Grand Traverse, Leelanau, Antrim and Kalkaska counties. This mission is accomplished through advocacy and on-the-ground restoration projects. Formed in 1944, the Benzie Conservation District educates the community on the adverse impacts of invasive plants, prioritizes infestations, and conducts invasive plant treatments where appropriate. ​Founded in 1988, the Leelanau Conservancy assists in coordinating and hosting invasive species training days, monitoring the Lake Michigan shoreline in Leelanau County for new infestations of baby’s breath, blue lyme grass, and other invasive species, and treating infestations of invasive species on their preserves. ​​Established in 1989, Inland Seas plays a key role within ISN in informing teachers and other educators about the introduction, spread, and impacts of invasive species within the Great Lakes system. For more than half of its two decade history, the Grand Traverse Regional Land Conservancy has worked cooperatively with volunteers, land owners, and various state and local organizations on invasive plant species removal and educational efforts in the Grand Traverse and Eastern Lake Michigan Region, and has been an integral partner of the ISN since its inception in 2005. ​Founded in 1943, the Leelanau Conservation District provides technical assistance so that local communities may wisely manage natural resources; as part of the ISN, the Leelanau Conservation District has been instrumental in coordinating Phragmites control in Leelanau County. ​Comprising over a million acres of public lands across the northern Lower Peninsula of Michigan, the Huron-Manistee National Forest provides recreation opportunities for visitors, habitat for fish and wildlife, and resources for local industry. Working through many partnerships in the past and into the future, the Forest Service is transforming the lands back into healthy forests. The Manistee Conservation District was organized in 1945 and works with the Natural Resource Conservation Service to provide the landowners of Manistee County with technical assistance for the protection of our local natural resources, working in partnership through the ISN to provide invasive plant management assistance on public and private lands. 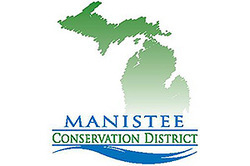 The Manistee Conservation District is also a fiduciary for the ISN, managing a grant provided by the U.S. Forest Service. ​Formed in 1980, MNFI is a leader in science-based decision-making regarding biodiversity conservation in Michigan and works with ISN partners to provide expertise on identification, prioritizations, and statewide issues in order to ensure an efficient and collaborative approach.